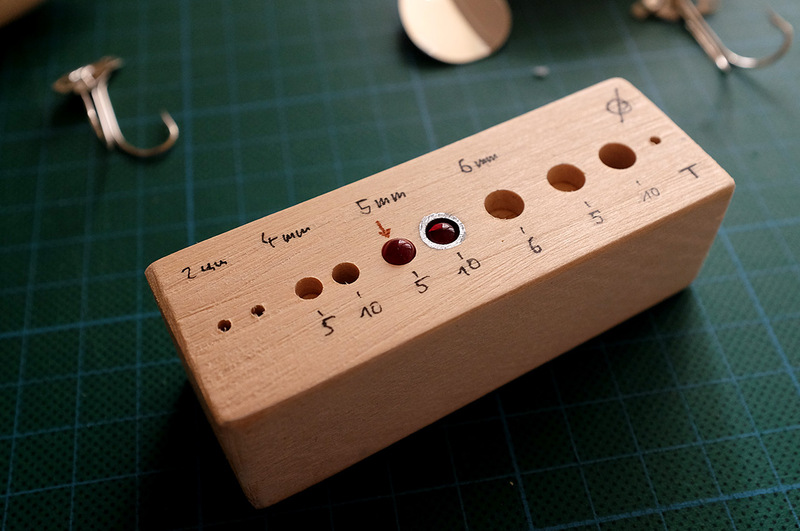 Here comes the promised and slightly overdue update from the workshop. 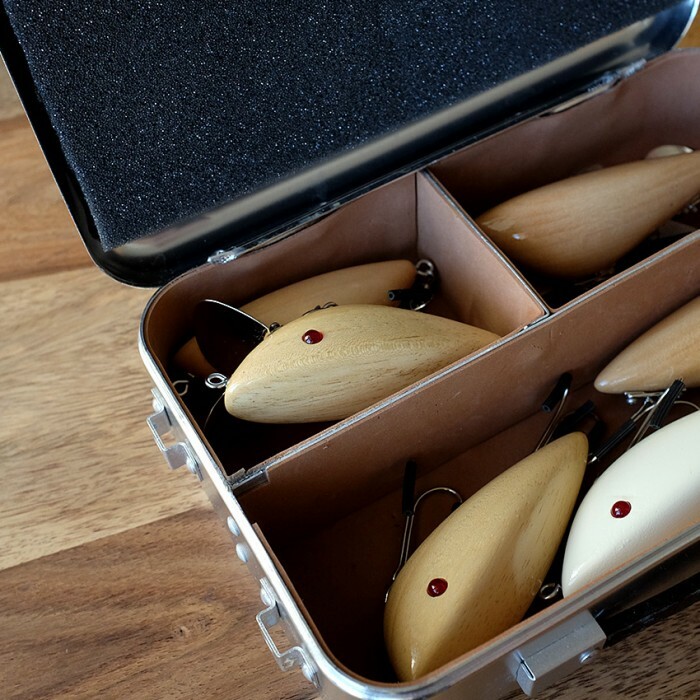 Just about an hour ago I finished a final round of sanding lure blanks in preparation for the upcoming coating process, that I hope to finish during the next two weeks. 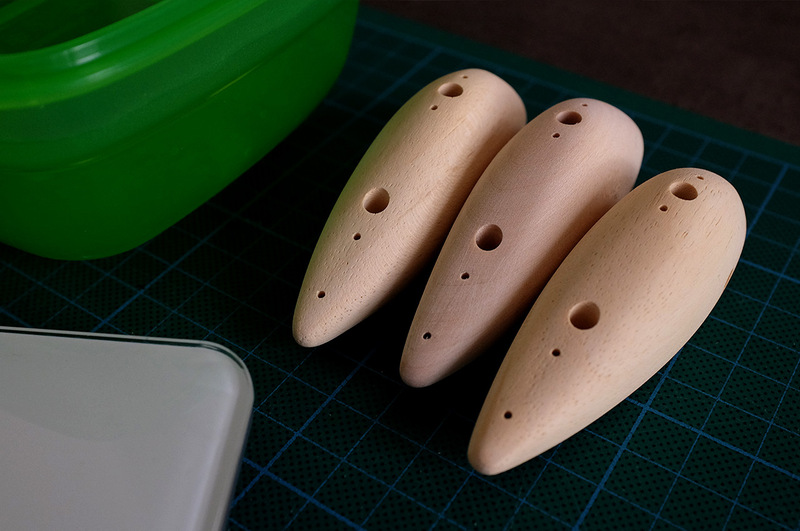 Within the last days, I did some first tests and weighting of lure bodies and parts to get a better idea of required balancing weights and positioning for this reworked versions of my pencil prototype from last year. 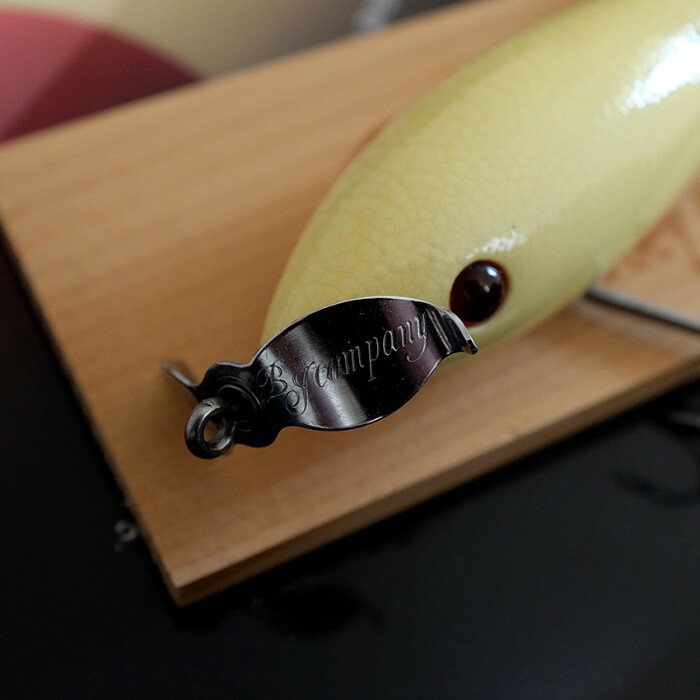 For both new versions – pencil and smaller crank variant – I’m going to use smaller and more handy tungsten weights this time, which I got from a fly fishing supply shop. While actual balancing and weight positioning for the pencil design was successfully prototyped and tested before, I’m taking a gamble with it’s crank-type counterpart. Due to a lack of time (and motivation), I decided to go for the obvious choice: an almost centered position – close to the center of gravity. Some swim tests I made earlier today looked quite promising, so I’m crossing fingers and toes that this will work as expected. 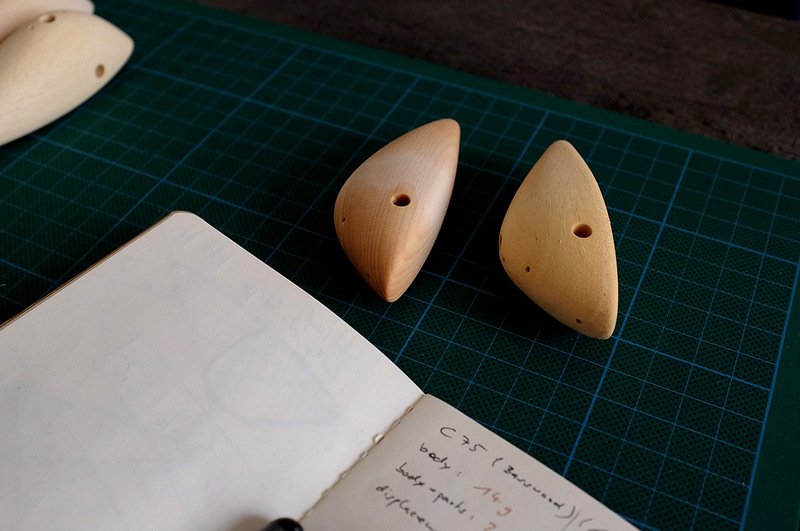 Besides that, it will be interesting to see, how the significantly lighter Abachi (Ayous) wood will perform with both designs! Already yesterday, I finally finished the drillings and the Proxxon TBM 220 did a great job. This small and relatively silent drill stand is easy to use, works with amazing accuracy and is therefore just perfect for this kind of work. 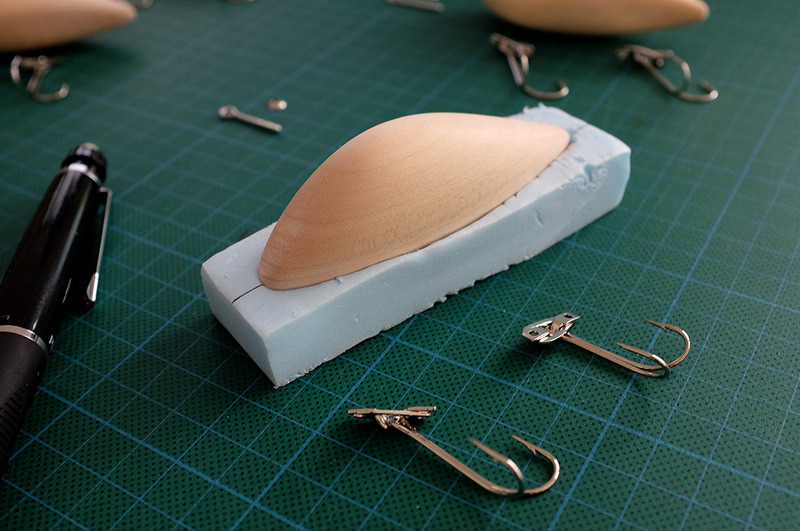 Getting the 60 drillings for lure parts and weights done was pure fun – compared to using hand tools or a clumsy drill driver..
Another detail I worked on, was eye design and some related material tests. After some research and due to the notorious lack of time, I went for an easy option by choosing colored beads instead of handcrafting my own realistic screw eyes using epoxy resin. After some test-drillings and color explorations, I ended up with a subtle 5mm red eye that will work perfectly with the light base color and natural wood coatings I have in mind.